I am a international chess player with national and international credentials. I am also a international chess coach with 4 years coaching experience. I just wanted to ask you if it is possible for me know the requirements for O1 visa. I a currently doing Phd in US and plan to do post-doc. MyPhs is 6ish years and i am in my first year. I really liked this country and wanted to know how can I use my chess credentials to settle here. All advice and suggestions would be appreciated. I wanted to know about minimum salary requirements. I went through that website but I find it very difficult details. Every job/position has minimum salary requirements. 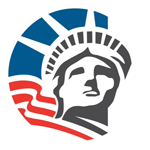 First check whether you are eligible for O1 visa. Talk to a good attorney. Thank your for your words of advice. I am aware that I am eligible for the same. Chess players do get O1 visa. I know a few who have got. That is why, I wanted to ask about the details for the same.